The physicians at Raleigh Plastic Surgery Center specialize in Arm Lift Surgery in Raleigh, Cary and surrounding areas of North Carolina. Flabby arms can be a problem. An arm lift, otherwise known as brachioplasty, can remove excess skin and fat deposits, leaving the upper arms with a more pleasing and youthful contour. As a person ages, upper arm skin can become loose and flabby. Plastic surgeons will consult with patients about undergoing surgery for an arm lift if they wish to tighten this skin to look and feel more youthful. Be sure to learn more about our practice, doctors and patients by viewing our Facebook Page! 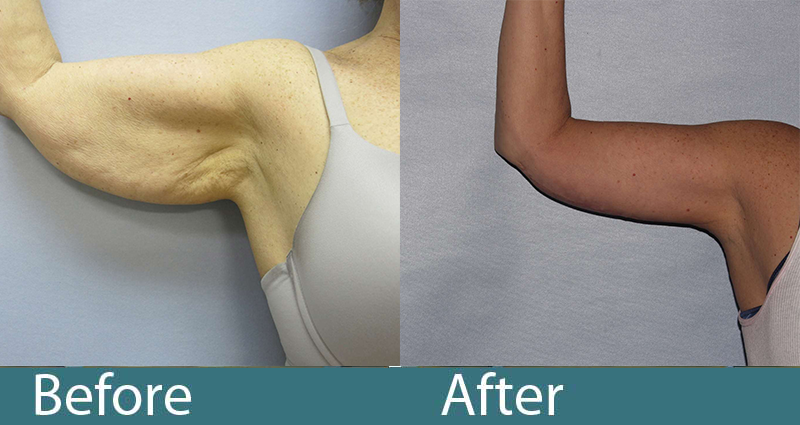 Patients who have worked hard for weight loss and are left with excess skin on the arms can benefit from an arm lift in Raleigh. An arm lift is NOT a substitute for weight loss! The goal is to remove excess skin, and sometimes a small amount of excess fat. How is an Arm Lift in Raleigh Performed? The incision extends from the elbow to the underarm, and sometimes on to the side of the chest. In some instances, your plastic surgeon may recommend that Liposuction be used alone or in conjunction with an arm lift to remove excess fat in the upper arms. 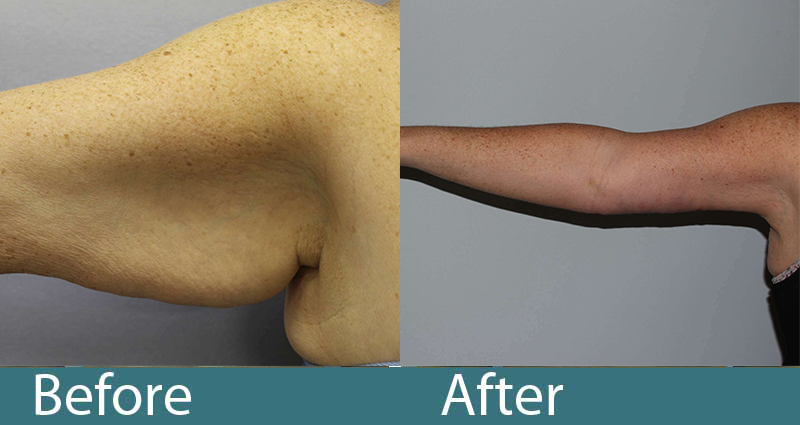 Upper arm excess skin from a massive weight loss patient usually crosses the armpit and involves skin that extends onto the chest region. Brachioplasty, or upper arm reduction surgery, usually involves reducing the skin through a scar that runs on the inner part of the upper arm, often crossing onto the arm pit. Similar to an arm lift, those who have lost weight and are left with excess skin should consider a thigh lift in Raleigh. 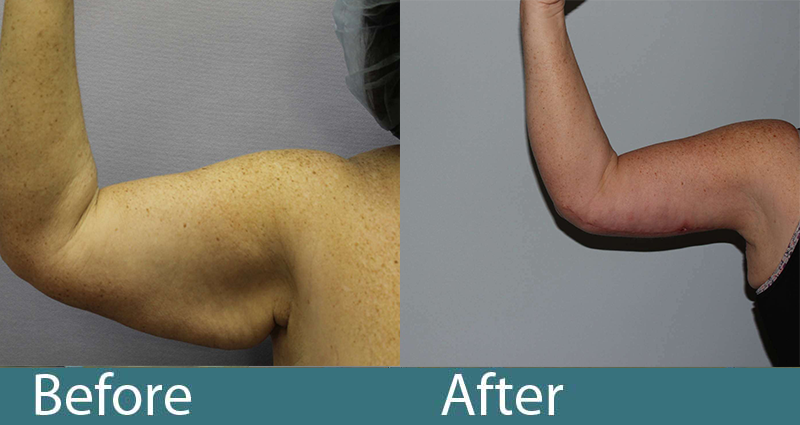 To learn more about the arm lift procedure, contact us to schedule your consultation. Following the procedure, you may experience some bruising, swelling and discomfort. Our doctors will prescribe pain medication to help you through the arm lift recovery process. Be sure to carefully follow all of the post-operative instructions to insure a smooth recovery. How Much Does an Arm Lift in Raleigh Cost? To discuss pricing and financing options for brachioplasty, call our office to schedule your consultation. Costs will depend on the areas of the body where liposuction is used. To learn more about our financing policies, refer to the patient financing page. 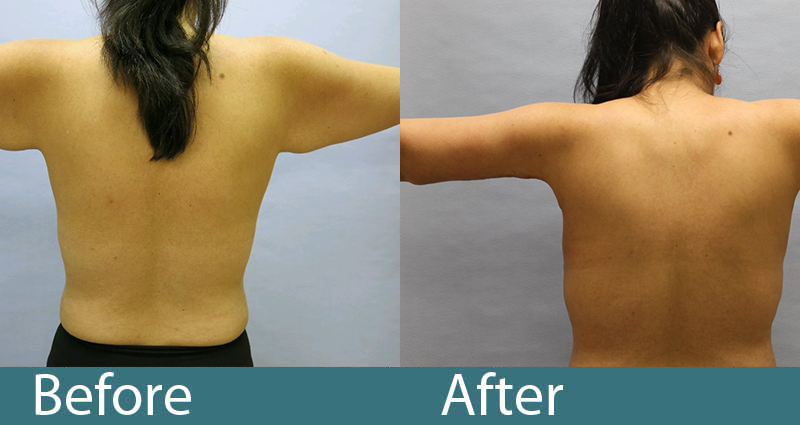 This patient underwent a gastric sleeve procedure resulting in weight loss. Patient was left with excess skin and desired to have it corrected. this patient was a great candidate for bilateral brachioplasty. 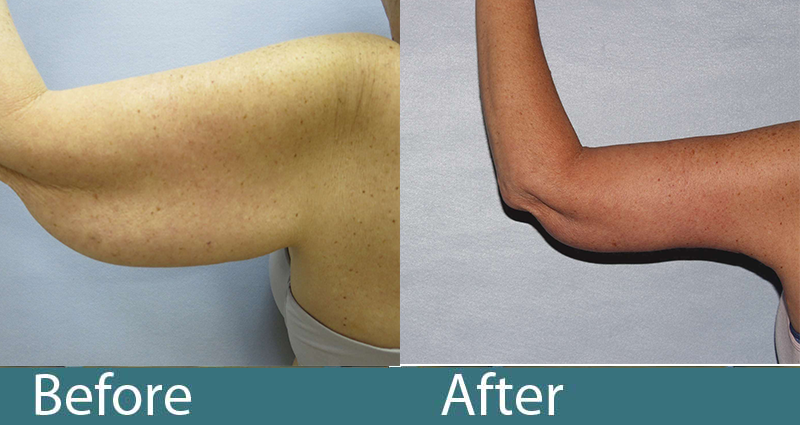 After undergoing gastric bypass surgery she wanted to address the redundant skin on her arms.